Original toner for the HP LaserJet P1005/P1006 printers. It has a spherically shaped design which allows precise control over the process of storing the toner in the printing system, and improved composition, ensuring realistic colours and precise image reproduction. The cartridge has a page yield of about 1500 A4 pages at 5% coverage. For shipping to other EU countries visit this page HP 35A Black Original LaserJet Toner Cartridge (CB435A). Chcete doručit zboží do Česka? 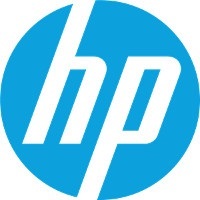 Prohlédněte si HP CB435A č. 35A černý. Chcete doručiť tovar na Slovensko? Prezrite si HP CB435A č. 35A čierny. Magyarországra történő kiszállításért tekintse meg ezt a termékoldalt: HP CB435A no. 35A fekete.